Central Air is popular because it has the ability to cool an entire home evenly and maintain a comfortable climate throughout. 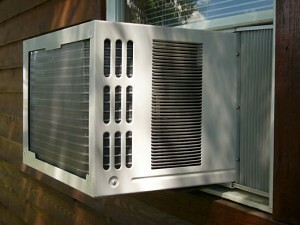 Other popular alternatives include individual window units and some combination of fans. There are a number of reasons to prefer each style of climate control during the summer, but for the most part, if you want an energy-efficient way to cool your house – the question is different for apartments and smaller, urban dwellings – central air is the way to go. Nearly every home should integrate fans with whatever air conditioning system they choose. If you want to go low-tech, you can survive with just fans, like people did for decades; only 17% of homes had an A/C unit of any kind in 1973. But even if you want a comfortable 68 degrees all day, you can save money and energy by combining fans and A/C. Moving air hitting the skin makes the room feel two to three degrees colder. A fan means you can turn your system up to 71 degrees. And a fan could be left on at full speed 24 hours a day and only cost about $9 a month. By contrast, running a fan for those five or so hours when you’re in the room and setting the temperature to 71 degrees can reduce your cooling bill by roughly five to ten percent. The most relevant benefits of a window-mounted A/C unit are that because it is noisier, you won’t leave it on by mistake, and that it makes it easier to control the temperature of each room. So you tend to have more control, which makes it easier to only use air conditioning in specific rooms where people are, as opposed to cooling the entire house. This lets people set the temperature that makes them most comfortable and tends to lower the home’s energy use. The same goes for the fact that window units are intrusive. You won’t accidently leave it on when you walk out of the house as often because window units are noisy and ugly and they shake, as opposed to central units that operate silently without catching your attention. 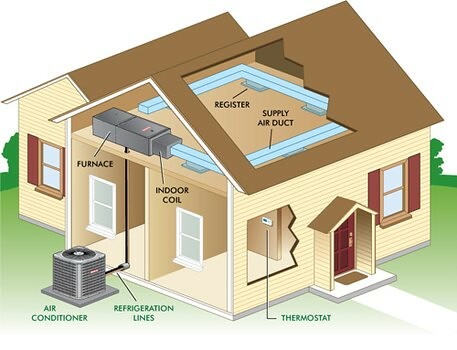 Central air, however, tends to be both better suited to larger homes, and more energy efficient. And with air conditioning, efficiency usually goes hand in hand with effectiveness. The big advantage is that central air units are physically larger, so they can cool more air in the same period of time than a window unit. To understand the effectiveness advantage this gives, you have to remember that air conditioners “cool” in two ways. First, they lower the actual temperature of the air, obviously. Secondly, they remove humidity from the air, so it feels cooler when it touches your skin. Turning over more air allows central air units to remove more humidity, so they create the effect of making it feel like it’s 68 when it might actually be 70. Window units, on the other hand, have to cool smaller amounts of air to a lower physical temperature, because they don’t have the physical capacity to remove the same volume of humidity. So central air uses less energy to achieve the same feeling of coolness, even in a larger area, leaving you feeling more comfortable with a more consistent temperature while using less energy. Furthermore, newer central air units are getting better at letting you specify which rooms are what temperature. 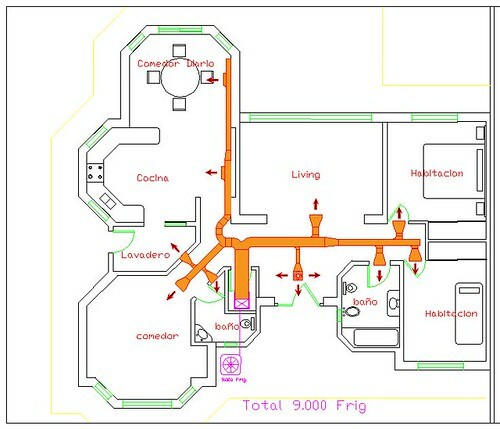 Programmability thus helps solve the customized temperature problem as well as the issue of accidently leaving the unit on, cooling an empty home. If you are interested in effectively cooling your home, a central air conditioning is a financially and environmentally sound choice. Rachel Wright is a writer at Reply! with more than 10 years editing experience and five years working within digital media, with a focus on Home Improvement. For more help, see her article on central cooling.